New York Times bestselling author Linda Lael Miller writes the kind of high-spirited, totally absorbing novels that captivate us right to the last line. Known for her fast-paced stories and delightful Katharine Hepburn-Spencer Tracy blend of wit and sexual tension, she creates characters who "walk right off the pages and into your heart" (Rendezvous). 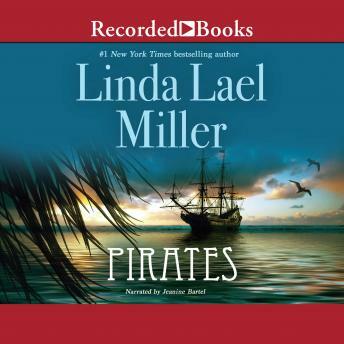 Now Linda Lael Miller sweeps readers away -- and through time itself -- when a thoroughly modern woman encounters a dangerous, dashing eighteenth-century buccaneer. The result is a sensuous, joyous, utterly heartwarming tale of love.... Phoebe Turlow needs to get out of Seattle and forget about the man she just divorced, her dwindling finances, and the lonely nights that stretch ahead of her. But she can't foresee what awaits her on Paradise Island.... Duncan Rourke is known to historians as "the pirate patriot." He's been dead for two centuries -- or at least he's supposed to be, until Phoebe Turlow steps out of a van, into a run-down island hotel, and into his world. Neither Phoebe nor her pirate can envision the glorious adventure that is about to unfold. They understand only that they have found each other, and a grand passion, across the chasm of time...and they fear only the moment when it may vanish. Passionate, emotional, and completely entrancing, Pirates will steal your heart.